Whether it is to wake up in the morning or to overcome a mid-afternoon slump, most adults rely on some form of caffeine on a daily basis. In fact, caffeine is the most commonly used psychoactive drug in the world. A jolt of caffeine can improve your mental alertness, alleviate a headache, and even serve as a diuretic. Caffeine perks you up by blocking adenosine, which is the hormone that causes drowsiness. When the hormone is blocked, you instantly feel more energetic and alert. Unfortunately, once the caffeine is metabolized, you can experience a sudden crash that can leave you feeling more sluggish than when you started. How Much Caffeine in Espresso? 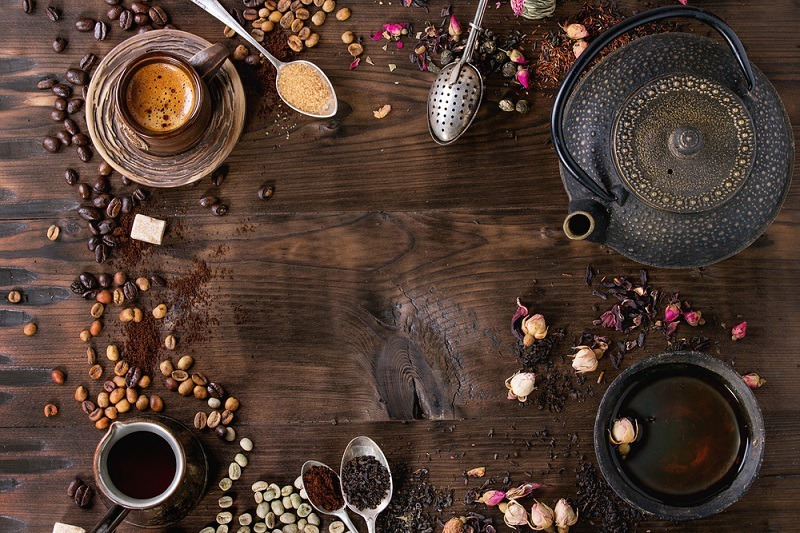 The amount of caffeine in tea or coffee can vary widely depending on a number of factors, including the temperature of the water used for brewing, the method of preparation, and the length of time of stepping or brewing. In their dry forms, tea contains more caffeine than coffee; however, the average cup of brewed tea has significantly less caffeine than coffee. Although the caffeine in tea and coffee are technically the same, the body reacts to it differently. Tea contains an amino acid called L-theanine that simultaneously calms the body while still providing added mental alertness. Tea also contains higher levels of antioxidants that slow the absorption of caffeine. This allows you to experience a longer period of mental alertness without the sudden crash. The caffeine content of your morning cup of coffee can vary based on the type of bean as well as the roasting process. 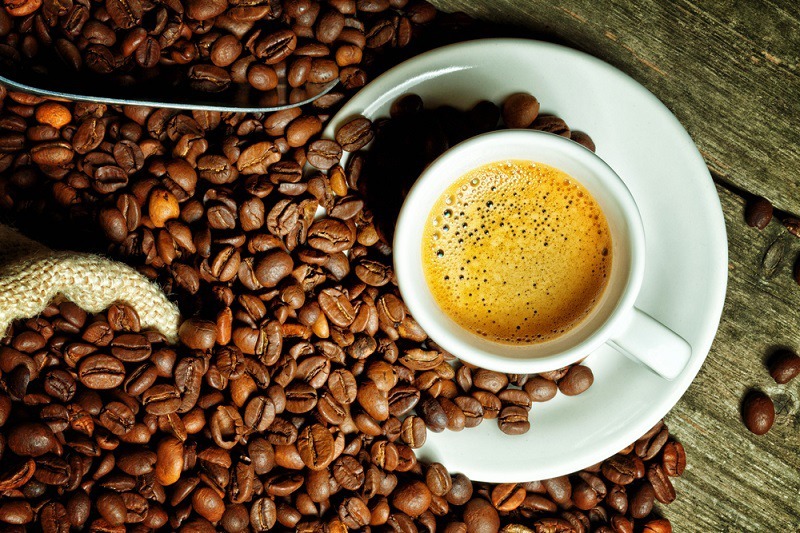 Even beans from the same plant can contain different amounts of caffeine. The majority of coffee beans used commercially are of the Arabica or Canephora, also known as robusta, varieties. On average, Arabica beans contain 1.2 to 1.8 percent caffeine. Canephora has almost twice the caffeine content at 2.4 percent. Less common varietals contain anywhere from 1.01 to 1.42 percent caffeine. Roasting coffee beans creates a richer, stronger flavor, but it does not increase the caffeine level. In fact, a dark-roast coffee will typically contain 10 to 15 percent less caffeine than a lighter roast. The following guide describes the average caffeine content in an 8-ounce serving of the most popular coffee products. It is important to bear in mind that the actual amount of caffeine in your favorite coffee drink can vary from shop to shop and even day to day depending on the specific roast, grind, and brewing time. There are several processes widely used today that can remove the majority of caffeine from green coffee beans. The first process uses water and a battery extraction process. The second uses a solvent, such as methylene chloride, ethyl acetate, or coffee oil to dissolve and extract the caffeine. The third process uses carbon dioxide in a high-pressure extraction vessel. Even with today’s modern decaffeination processes, it is impossible to remove all of the caffeine from the coffee beans. When making espresso, the beans, usually dark roast, are ground much finer than for the typical American cup of coffee. The grounds are compacted into a dense puck and brewed under high pressure using very hot water. This method of extraction results in a very intensely flavored brew. Because of the concentrated flavor, espresso is typically served in shot-sized servings of 1 to 1.5 ounces. The average serving of espresso contains 47 to 75 mg of caffeine. Even a decaffeinated espresso can contain up to 15 mg of caffeine. Tea comes from the Camellia sinensis plant, which naturally contains caffeine. Water temperature and brewing have the biggest impact on the amount of caffeine in the average cup of tea. Since the tea leaves found in bags are broken into small pieces of similar sizes, they tend to produce a brew with a higher caffeine content than loose tea. 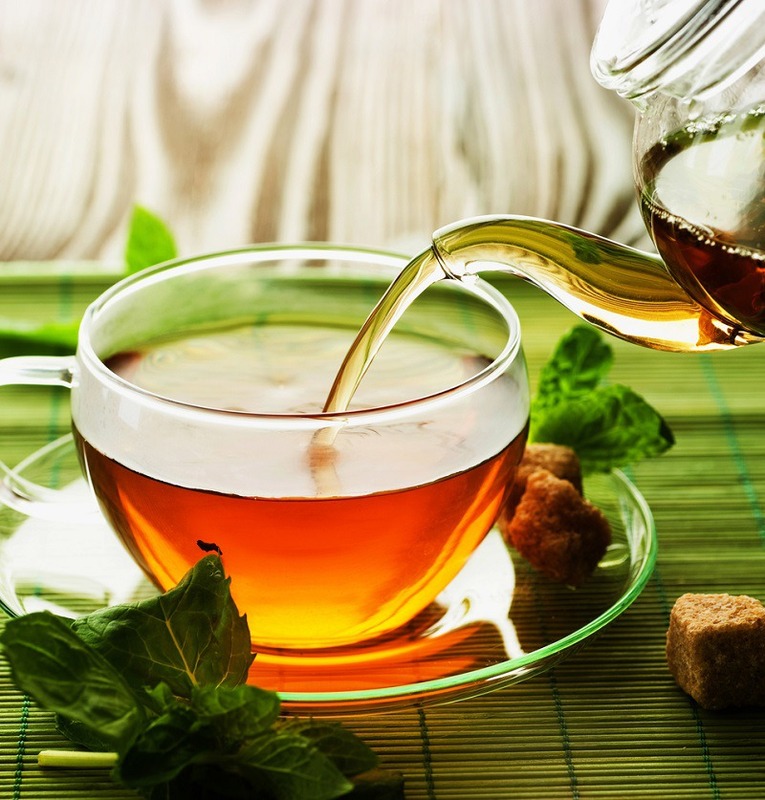 While green, black, and white teas contain similar amounts of caffeine, the specific growing methods and the type of leaves selected also impact caffeine content. The average 8-ounce serving of brewed black tea contains 14 to 70 mg of caffeine. This compares to 24 to 45 mg of caffeine found in green tea. An 8-ounce glass of instant iced tea prepared with water contains 11 to 47 mg of caffeine. Most ready-to-drink bottled teas contain 5 to 40 mg of caffeine. Just as with coffee, decaffeinated tea still contains 5 to 10 mg of caffeine per cup. The only way to avoid the caffeine is to switch to an herbal tea. Unlike real tea, herbal teas are made from botanicals, such as peppermint, rooibos, and chamomile, which are naturally caffeine-free. There is a common misperception that you can decaffeinate tea by quickly steeping it, discarding the liquor, and then steeping the leaves a second time. This method does not work since caffeine is extracted over time and varies with the type of leaf and the method of processing. The quick steep method may only extract 20 to 30 percent of the caffeine, and you also lose most of the beneficial antioxidants found in tea. 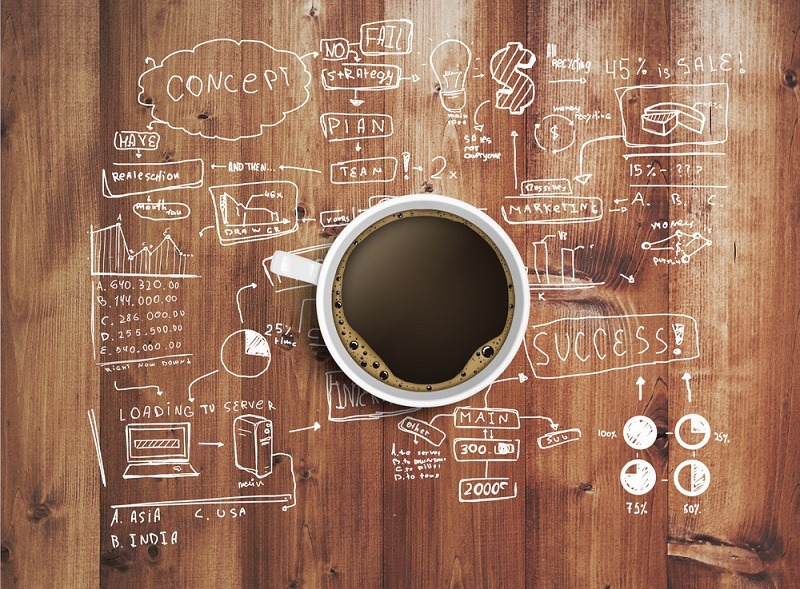 Too much caffeine can leave you jittery, anxious, and restless. As a general rule, adults should keep their daily caffeine intake between 200 and 300 mg; however, even as little as 100 mg a day can make you reliant on caffeine. Adolescents should have no more than 100 mg of caffeine daily, and young children should not drink caffeinated drinks on a regular basis.